Nothing says simple like a tray of roasted veggies. Whether it's roots or shoots, season to season you can easily pack a veggie punch to your meal and not spend a whole lot of time in the kitchen. 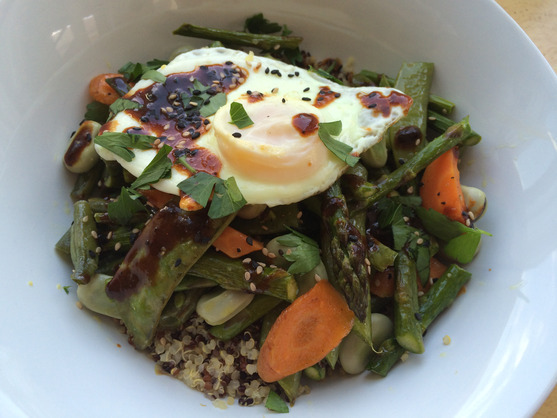 This simple grain dish highlights the bounty of spring.